I love the colours of the sea and the sky blending and contrasting with the colour of the rocks. Brilliant photography 🙂 Which part of Australia is this? 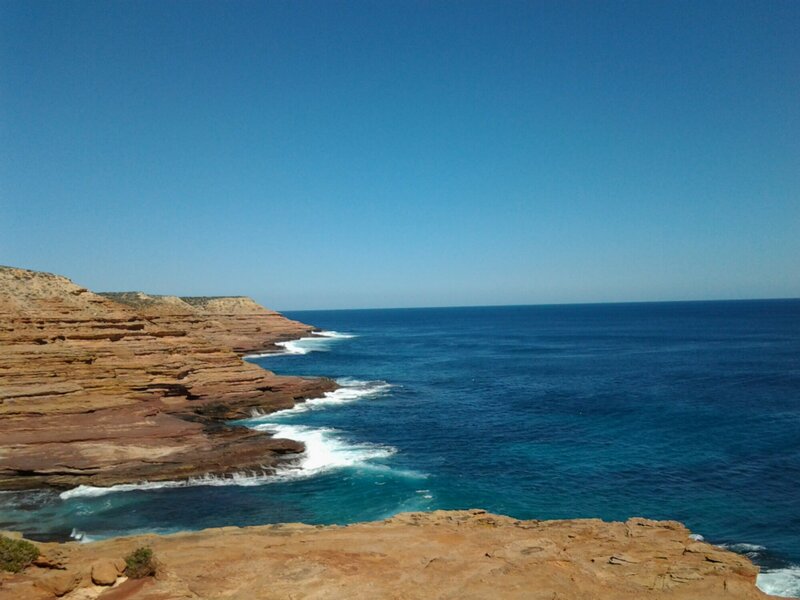 These are anvient West Australian cliffs at Kalbarri, North of Geraldton. This coastline is known as “The shipwreck coast” and you can see why! The dutch ship Batavia sunk off the area in the early 17th century. Hope you get there.